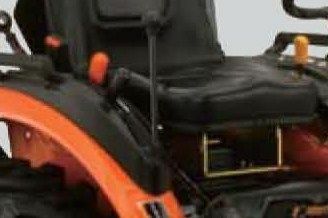 Braceless Frame - For optimum visibility and easier maintenance, we’ve eliminated the connectors and braces around the front loader arm. 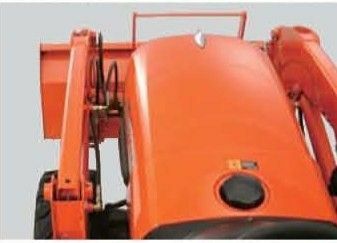 Curved Boom Design - The new LA304/LA364 curved boom design offers a better field of vision during front loader operations. 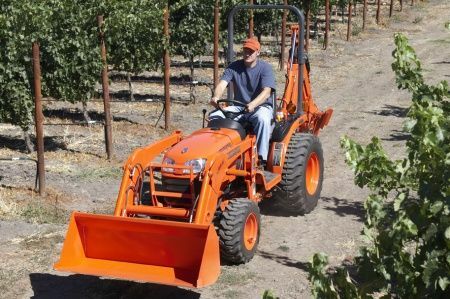 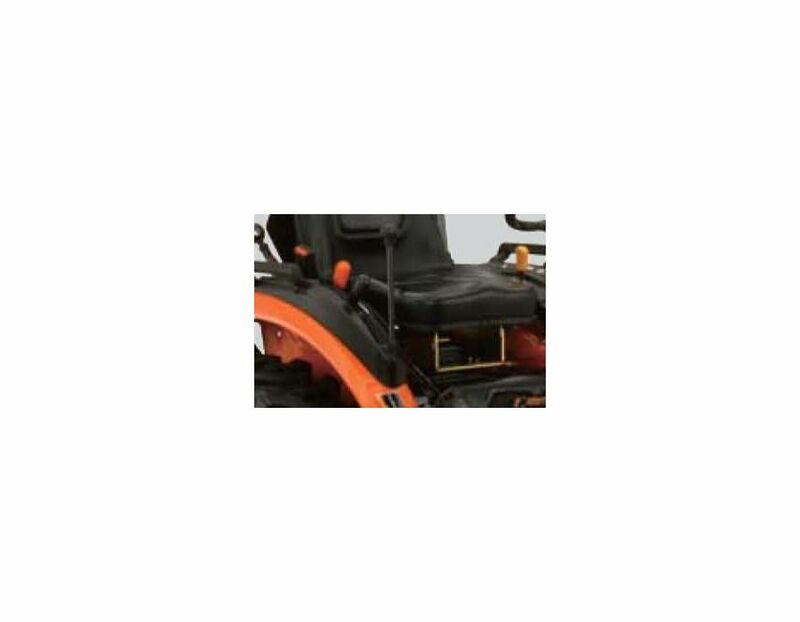 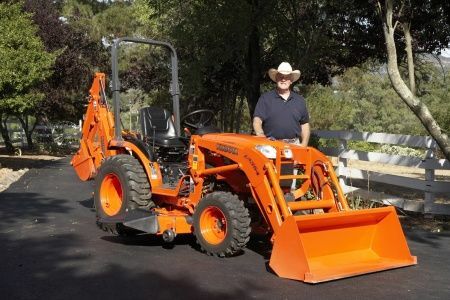 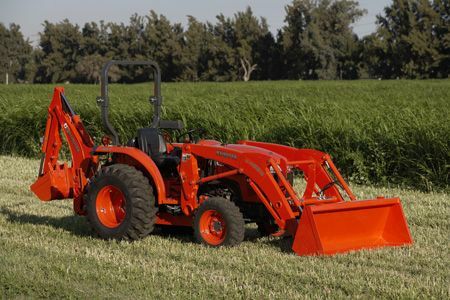 It also gives the loader a modern, sleek appearance. 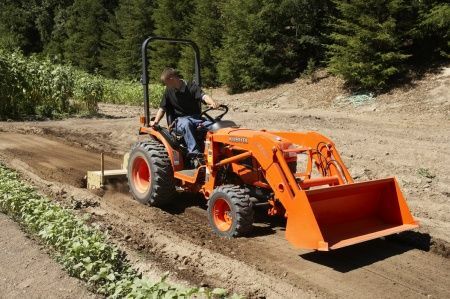 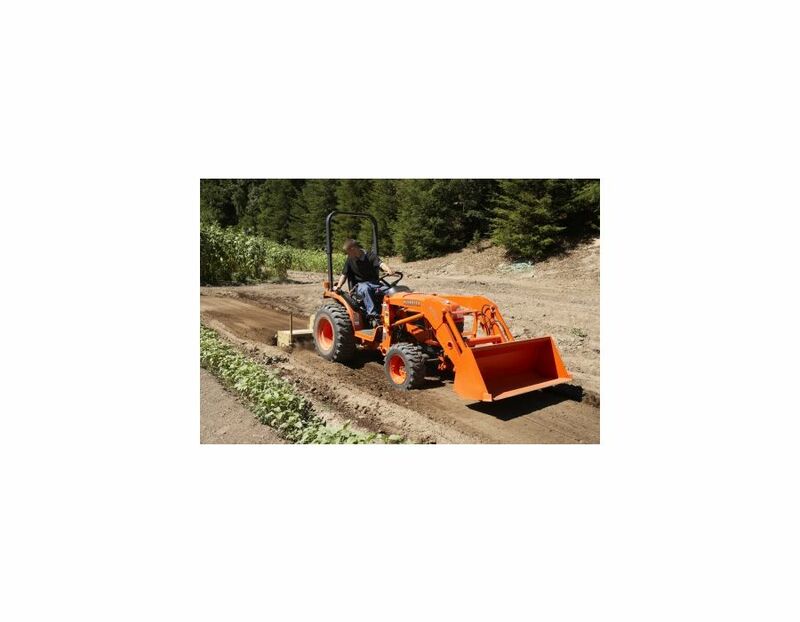 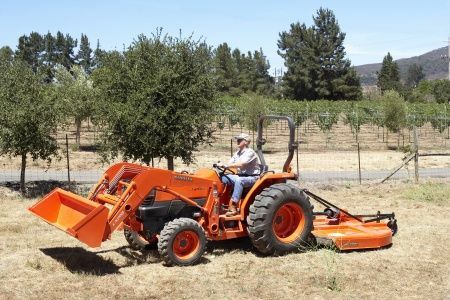 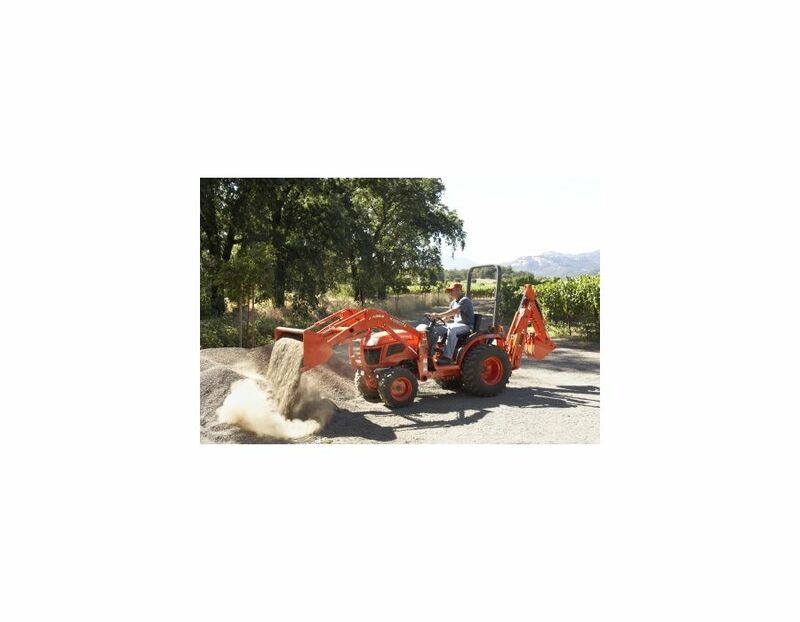 Single-Lever Joystick Control - All loader operations—raising, lowering, dumping, and rollback rotations—are controlled by a single, built-in joystick that’s within easy reach for maximum convenience. 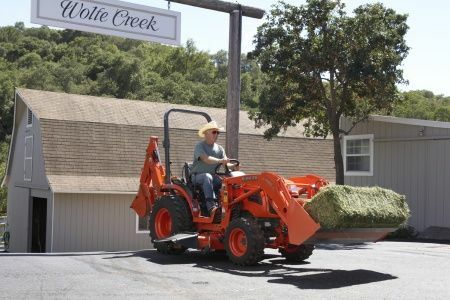 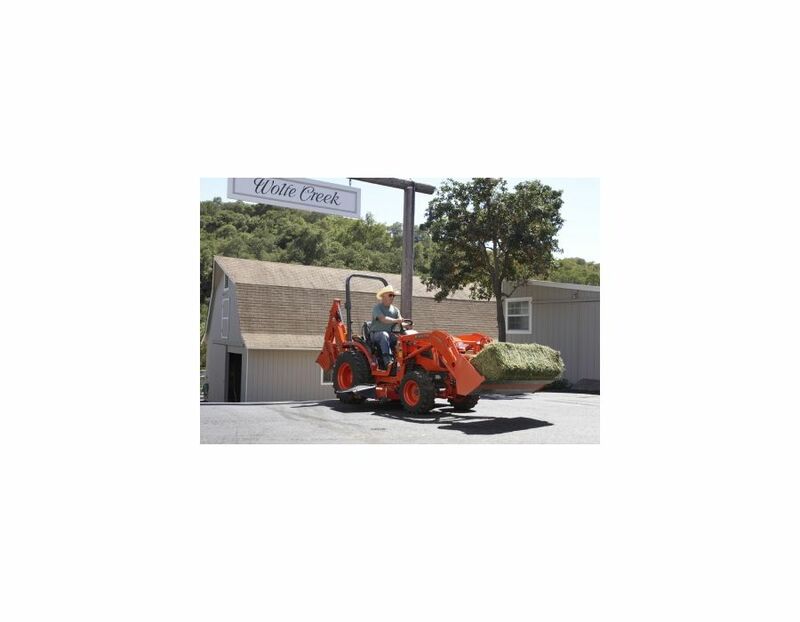 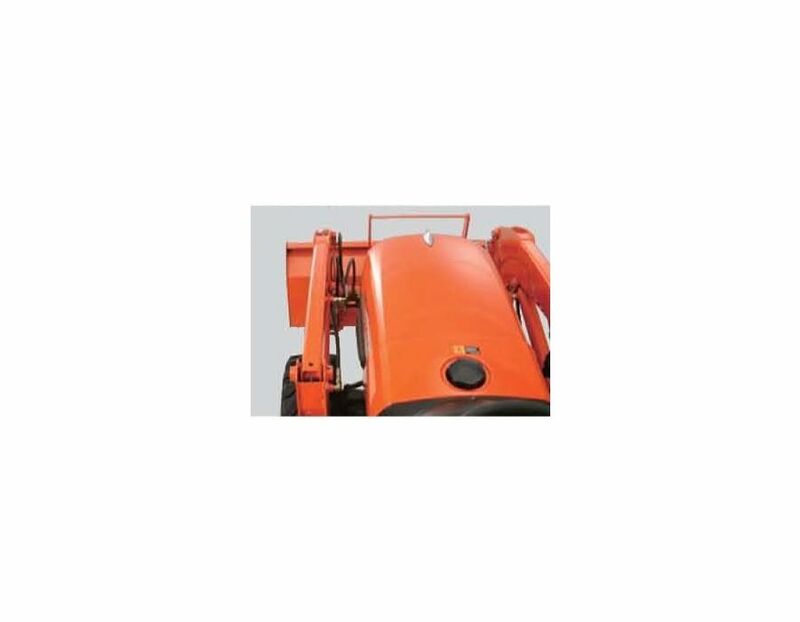 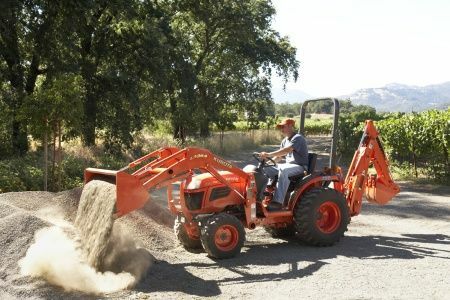 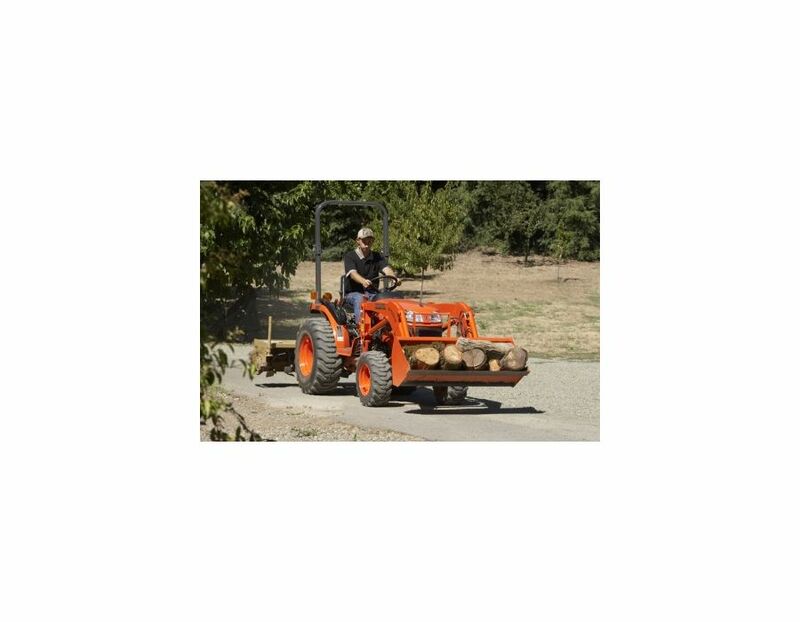 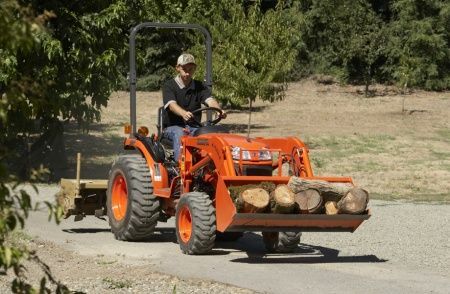 Quick Attach/Detach Front Loader - The loader doesn’t require tools or additional personnel to remove or install. 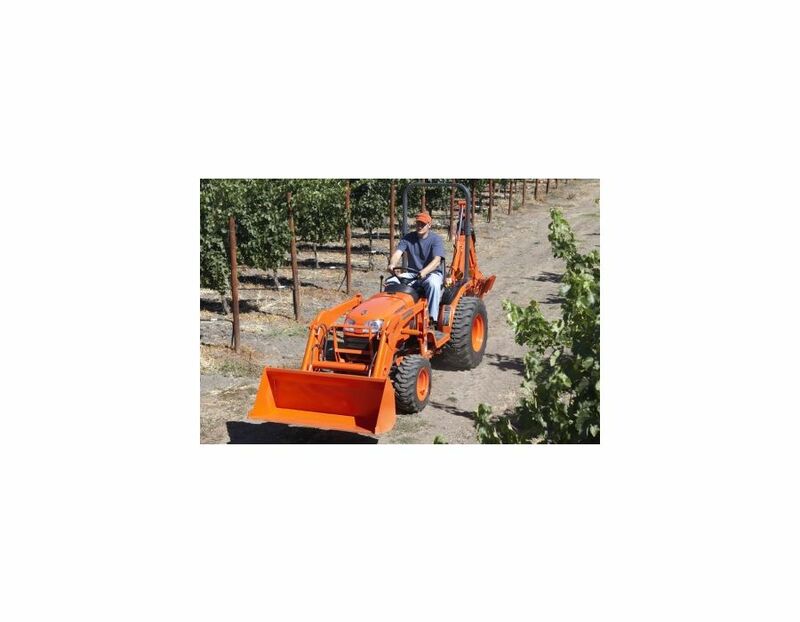 The conveniently located quick attach/detach pins can be handled from the operator’s seat. 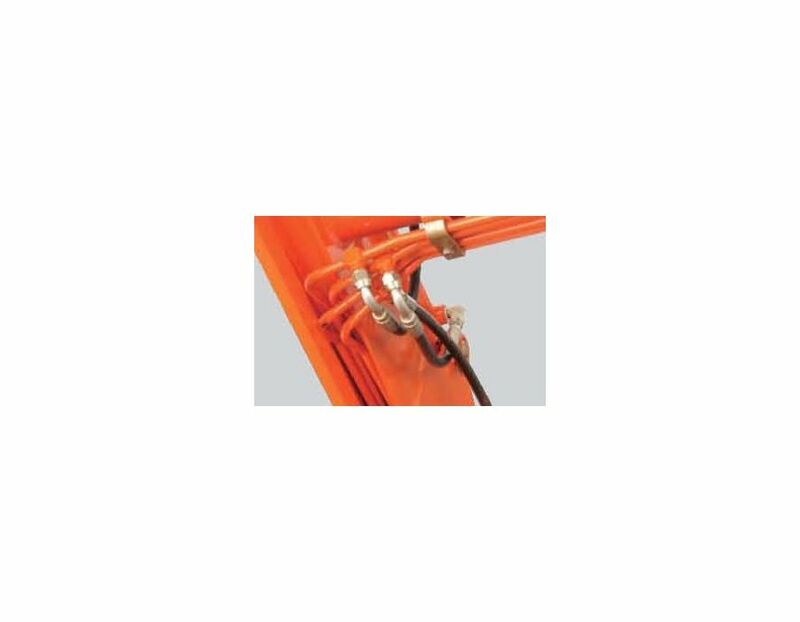 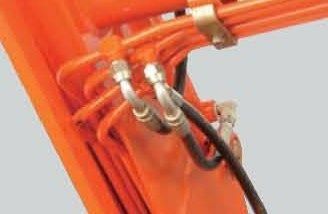 Protected Hydraulics - The hydraulic hoses are routed through a recessed area under the loader lift arm for increased protection, longer life, improved visibility, and a cleaner-looking design. 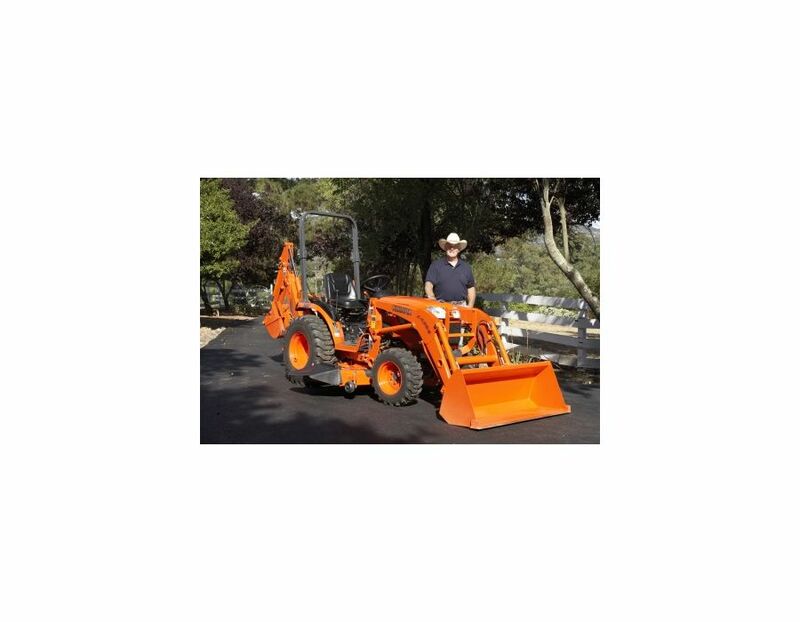 The LA364FL Kubota B Series Loader is available at Kooy Brothers, located at 1919 Wilson Ave., Toronto, Ontario.